Renault Scenic Review 2019 | What Car? 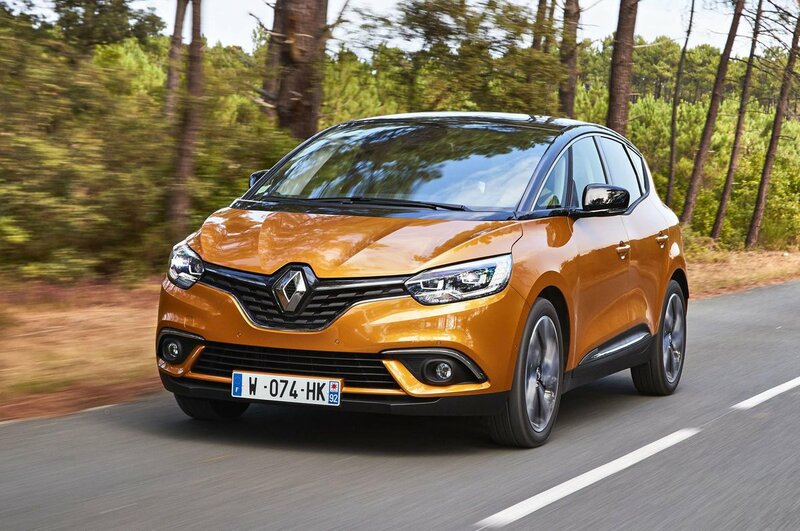 With SUVs seemingly all the rage, it's no surprise to see that the Renault Scenic incorporates elements of that style and design language within its compact five-seat MPV body. There’s a lofty ride height, a high waistline, massive 20in wheels and if you go for a higher trim model, privacy glass for the rear windows. 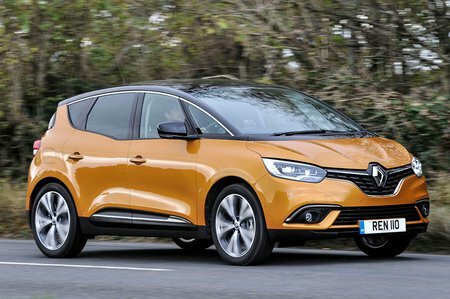 It’s this injection of SUV design flair and muscularity that Renault hopes will help to separate the Scenic from its main rivals, which include the BMW 2 Series Active Tourer and Citroën C4 Spacetourer. However, don’t go thinking the Scenic is all shirt and no trousers. Renault has put some real thought into the engineering of the Scenic. Those massive wheels? They’ve been designed with usability in mind and come with specially designed tyres that allow a pliant ride. They’re even designed to counteract the impact that big alloy wheels can have on CO2 figures. It’s all very clever stuff. But what about that wide, imposing body? Well, it’s not just designed that way for looks, but so passengers have room to sit comfortably side by side. Under the bonnet, things are a little less advanced; you get the choice of either a 1.3-litre petrol or a 1.7-litre diesel, and that’s it. There are also only three trim levels - Play, Iconic and Signature – although all have such essentials as electric windows and air conditioning. Importantly, all models get automatic emergency braking (AEB), helping the Scenic to score a maximum five stars in Euro NCAP’s safety tests – a vital factor for a car designed for families. So, on paper, the Scenic looks like a worthy adversary to the Active Tourer and SpaceTourer, but to learn how it drives, how practical it is, what it’ll cost you to buy and own, read on. And remember, if you decide the Grand Scenic is right for you, head over to our New Car Buying pages, where you could get a discount from the list price with no awkward haggling.